ADVANTAGE MOVING AND STORAGE IS TOP-RATED AMONG MOVING AND STORAGE COMPANIES ACROSS THE COUNTRY. Advantage Moving and Storage has a rich 30 year tradition of serving Chicagoland with moving, storage and installation services. As an asset-based, North American Van Lines agent, we offer premier residential and commercial moving services in addition to installation and storage solutions. Our customer-focused team paired with our high level of personalized service is what truly makes us stand out from other moving and storage companies. 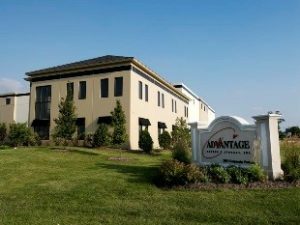 The management team at Advantage Moving & Storage understands what it takes to provide outstanding service to our customers. We make it our top priority to treat each customer as an individual and offer a variety of customized options to fit the specific needs of the client whether you are moving across town or across the country. Our highly trained and experienced drivers, movers, packers and installers take pride in their work. They are committed to providing each customer with professional and best in class service, making Advantage Moving & Storage a leader amond moving and storage companies. Customers who select our storage services can also enjoy the peace of mind that comes with knowing that their valuable belongings are safe and secure. 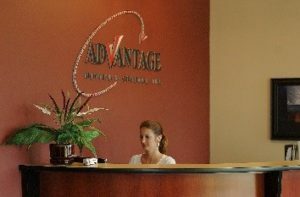 At Advantage Moving & Storage, our mission is to educate, advise, and support our Chicagoland customers. Our team is dedicated to providing customized moving solutions and installation services to make commercial and residential moving as seamless as possible. Please contact us today for a FREE quote. We have no doubt that you’ll be more than satisfied with your experience working with us and you can learn first-hand why we are a leader among moving and storage companies.